…And the Broad Way to Destruction Widens | Smile, God Loves You! 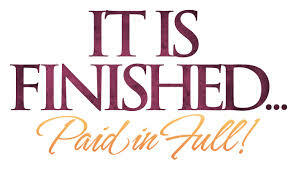 Much of the modern-day Christian doctrine teaches that God is a god of “love and grace”, and that repentance and commitment are no longer prerequisites to get into Heaven because we were all saved at the cross when Jesus said, “It is finished”—[John 19:30]. However, this deception is leading millions down the wrong path … and so the broad path to destruction widens! 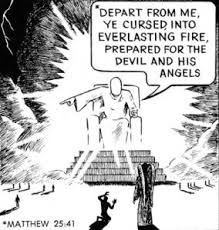 When Jesus said “It is finished” He was referring to the plan of salvation that God had promised Adam and Eve; the one that would crush the head of the serpent, the devil. The Old Testament is a book of law, prophesy and history, and the New Testament is the fulfillment of those prophesies about the coming Messiah, Jesus our Saviour. God’s plan was finished! The provision for salvation was now available to all of mankind. He didn’t say that everyone is automatically saved; He said that He loved all of mankind and wanted them all to be saved. [For many are called, but few are chosen—Matthew 22:14] The provision is for everyone, but only those who come to Him and turn from the world and follow Him will be saved and will go to Heaven when they leave earth. Today’s lifestyle is all about “me”! It’s about convenience, pleasure, riches and self accomplishment. It’s about living in sin while at the same time conceding to that tiny voice of guilt that says, “I need some kind of religion to ensure I get into Heaven when I die.” And so many ignorantly go along with whatever is being taught, just as long as they get into Heaven and don’t have to read the Bible to get there. The new age message says that we are all God’s children. BUT we are not all God’s children! Only those who have come to the cross and accepted Jesus as their Lord, Saviour and King, and who have repented of their sins are part of the Kingdom of God. 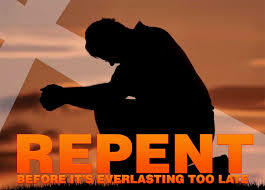 Those who don’t come to the cross and repent still belong to the sinful world. The modern-day church doesn’t preach the gospel of Christ; it teaches that we need to love all people and not judge or criticize anyone, regardless of their actions or lifestyles. It has taken the scripture from Mark 12:31 that says we need to love our neighbour as ourself, and has turned these words into a false doctrine that promotes the love of people above the love of God. It’s the same attitude that was born at Woodstock years ago, only without the drugs and flowers. God says clearly that we need to be born again and that we are to love the brethren—but all of humanity is not “the brethren”. Only those who are born again are brethren. Jesus says that His beloved are those who love Him. 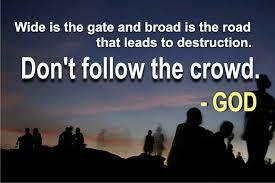 Again, Jesus tells us that our Christian brethren are not our earthly kin, but our brothers and sisters in the Lord. God hates sin and has condemned all sin to hell [Romans 6:23], and as Christians we have compassion for the sinful people of the world, but it’s not the same as the love we feel for our brothers and sisters in Christ. We want the lost to be saved, but their sin separates us and we can’t have fellowship with anyone who wilfully engages in sin—something that God hates. Sadly, many are deceived into believing that God doesn’t want them to change and that He just wants them to love each other and enjoy their life. And so, the broad way to destruction widens. 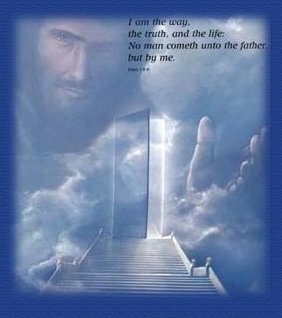 The way that leads to God is narrow and has only ONE doorway that will take us to God and that is through Jesus. And all those who enter will be saved and will have everlasting life with God.